Members of the Trust where invited to the opening of a sensory garden in Marino School in Bray, which took place on 3rd April 2019. 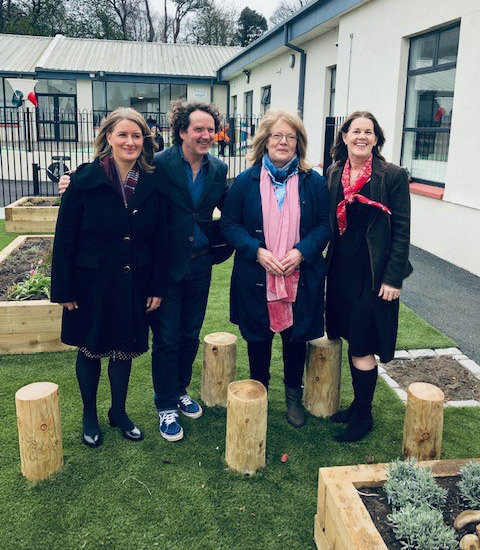 The garden was officially opened by Diarmuid Gavin who can be seen in the picture alongside Rosalie Chooi and Delwen Giles (both Sunbeam House Trust) and Oonagh Kenny (Principal of Marino School) – from left to right. To read more about the school and the garden please check our Projects page.